GREENSBORO, NC — After graduating from college, designer and maker, Charles Wade, began his hobby by making unique animal stickers, which later morphed into woodcraft and papercraft creations. 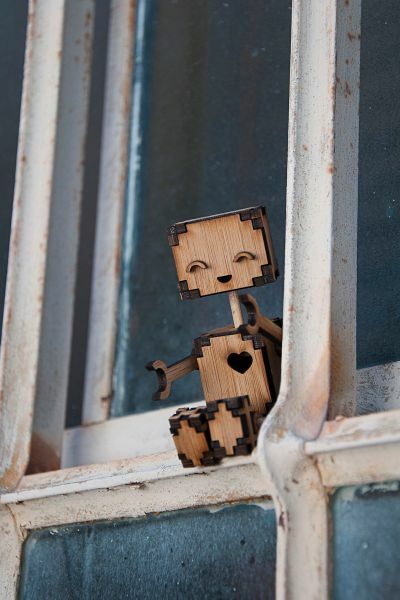 During a test for one of his woodcrafts he designed and built a poseable wooden robot. The Helper Bot was born. With the creation of the Helper Bot, Wade began experimenting with other ideas. After receiving feedback and appreciation for his work, he created more robots and designed assembly kits that would allow others to build his creations. 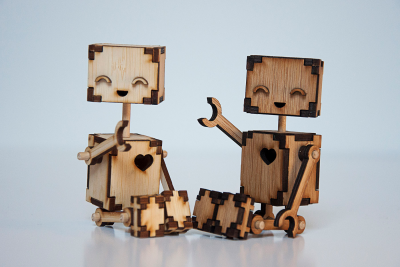 Wade has cultivated his hobby into a career by establishing RoboMustache; a collection of wooden robot assembly kits, accessories and merchandise. More than a collection of novelties, the RoboMustache hints at a rich world of storytelling as well. Coined from a found project in a derelict factory, as the company grows, so will the RoboMustache universe. The story will expand to tell more about the existing robots and bring in new robots along the way. Wade is crowdfunding the project to take the RoboMustache universe to the next level. The Kickstarter launched Dec. 4, 2015 and runs through the new year. 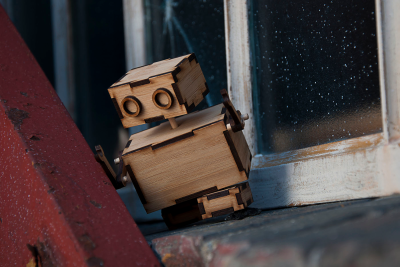 Dieser Eintrag wurde veröffentlicht in Crowdfunding, English, Fun, General, Hardware und verschlagwortet mit crowdfunding, Kickstarter, RoboMustache, Robot, wood von Sebastian Trella. Permanenter Link zum Eintrag.